Reluctance by QCs to progress into senior judicial positions is impacting the UK’s patent litigation sector. While the ranks of patent litigation lawyers continue to swell, unfavourable conditions and lack of incentive are behind the dissatisfaction with the judicial appointments system. But ongoing reform means the bench is seeing some hope for its future. Patent lawyers all over Europe can recognise the High Court in London. But alongside the Chancery Division, where the Patent Courts reside, is the less well-known Intellectual Property Enterprise Court, or the IPEC. Known until 2013 as the Patents County Court, the name was changed to better reflect the remit of cases waved through its doors. Peter Ford, expert in copyright law, was its first judge from 1990. Despite its intentions to provide a more straightforward alternative to the Patents Court, however, the process of hearing cases was seen by both solicitors and barristers alike as slow and costly for smaller companies and individual patent holders. For Birss, the chance to work in the public sphere while making worthwhile reforms to the IPEC compelled his application. “To be a judge is a chance to undertake public service. That aspect was an important motivation for me.” Having served on the judiciary for eight years, Birss is now tipped to enter the Courts of Appeal, a move which continues his trajectory and upholds the search for variety which first compelled his application. 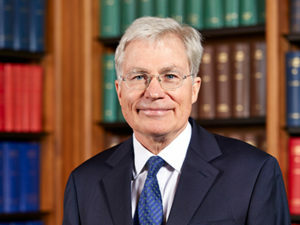 Colin Birss, currently a judge in the Patents Court, reformed the IPEC and is well-regarded among his judical peers. Birss is regarded by many in the London patent community as an innovator. Under his tenure at the IPEC, says one solicitor from a leading London practice, a career in patent and intellectual property judiciary became more attractive. The IPEC became almost as important as the higher courts for hearing cases as well as for attracting talent; its fast judgments and Birss’ unique approach to case management provided an alternative to the drudgery of the high courts. But high courts themselves have not been without change. Under the guardianship of Robin Jacob, Hugh Laddie and Nicholas Pumfrey , individuals described as landmark patent judges, in the 1990s the Patent Courts adopted a more approachable, thorough and conscientious attitude towards disputes. Described by one London solicitor litigator as “dominating and revolutionising intellectual property courts with a progressive and modern approach,” Jacob, Laddie and Pumfrey began to establish the English courts on the patent map. It was then down to the following generations of judges to ensure the patent court system of England and Wales rivals its European, and in particular, German counterparts. But the enthusiasm which once surrounded such recruitment drives has been dampened. This is despite the continued influence of the recent incumbents Christopher Floyd, David Kitchin and Colin Birss. Where Birss’ successor to the IPEC, Richard Hacon, is considered “capable and efficient” in the words of one local lawyer, the question on the lips of many London litigators is who will carry on this period of innovation in the High Court. Despite steps towards improving the court environment for disputes, issues endemic to the London bar, such as recruitment of women and ethnic diversity, remain. Aside from this, according to nearly all the solicitors and barristers which JUVE Patent spoke to, there is real difficulty in finding both willing and able candidates to make the step up. The problem lies first and foremost in the conditions offered, which are unfavourable compared to a law firm career. A lack of variety in experience of QCs at the top of the patent field creates a lack of choice, said one partner. This means a limited pool of candidates who tend to be drawn from the bar, although solicitors are also eligible for recruitment into the judiciary, one example being David Stone at Allen & Overy. Time and again, London lawyers told JUVE Patent that the increasing complexity and diversity of patent litigation, combined with the shrinking pool of eligible candidates, is driving down quality in the patent courts. For bright and driven partners otherwise willing to make the step up, the loss of fees earned in private practice is, however, the deciding factor. Alongside heavy caseloads, becoming a judge is driven by a motivation other than personal financial reward. “The issue is that remuneration as a judge requires a top IP QC to take more than a 90% cut in income,” says one London solicitor. “While that is offset a little by the pension arrangements, it is not full compensation by a long stretch.” However, Colin Birss believes that what motivates lawyers and QCs to make the step into the judiciary is not – and perhaps has never been – about renumeration. 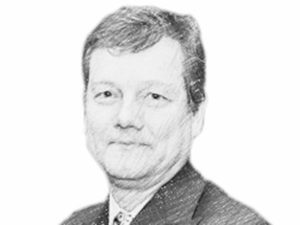 In London, there is speculation around which QCs with relevant experience might yet join the bench, not least since another IP expert, David Kitchin, has recently moved from the Courts of Appeal to sit as a Supreme Court judge. Daniel Alexander, a QC at 8 New Square chambers, is most often mentioned. David Kitchin, previously a High Court judge, has recently been promoted to the Supreme Court. Widely regarded as among the most competent and forthcoming of the intellectual property barristers, should Alexander apply to the Chancery he can be sure of support. Other names heard by JUVE Patent include Richard Meade and John Baldwin, both also of 8 New Square. Now, the public-facing aspect to the role is reflected through the recruitment practices of High Court judges in the UK. 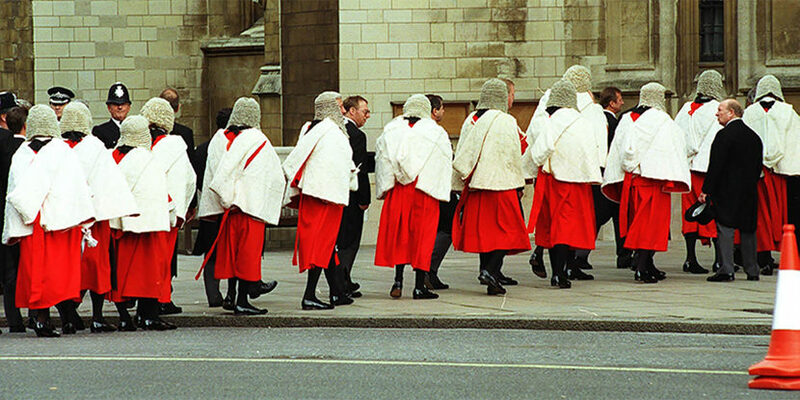 Before 2006, judges were appointed on the recommendation of the Lord Chancellor and following advice from the senior judiciary. While candidates were selected on merit, the pool of eligible practitioners remained homogenous. Now, candidates can come forward for selection and are recommended to the Lord Chancellor via the Judicial Appointments Commission. Theoretically, this underpins the commission’s statutory duty to “encourage diversity in the range of persons available for selection for appointments” and allows those keen to work in the public eye to apply. In practice, however, social barriers remain. It could be that moving further away from the bar, which has for so long been the traditional source of new judicial recruits, is necessary. As one lawyer commented, the niche nature of intellectual property and patent law means limited competition at QC level. Combined with almost all relevant barristers chambers being located in the UK capital, with much higher living standards, the bar’s London-centric nature has created a captive market. As well as loosening the bottleneck that London’s QC market is experiencing, such steps will, it is hoped, increase diversity on the bench. But a partner in a London-based patent litigation firm says the appointment of solicitors as deputy judges has not produced the quality results expected of London courts. “In some cases, the practice leads to solicitors with little or no expertise in patent law hearing patent cases.” This then creates more work for patent lawyers if they suspect errors in the resulting judgment. Those involved in judicial appointments thus point towards a wider untapped community in the UK with the impetus and the knowledge to become a Patent Courts judge. While this variety includes cases and hearings, forthcoming challenges surrounding Brexit and the Unified Patent Court mean the future of European patent litigation will also impact the UK judiciary in new ways. Maintaining these international ties is a daunting prospect, but is precisely the challenge that some candidates would relish. For eligible QCs or solicitors searching for a challenge, the era of Brexit and the UPC – with or without UK participation – will certainly create an opportunity for judges to be involved much more in international cooperation. In the best case, this can further bolster the UK Patent Courts; in the worst, it may be necessary to keep London relevant in the international patent community. While ‘crisis’ might be too strong a word, recruitment in the UK patent courts is certainly experiencing turbulence. “It’s lonely, pressurised and judgments must be turned around very quickly,” says a patent lawyer at a London firm. These are not the most appealing adjectives to describe such a vital role. Perhaps it is telling that Hugh Laddie, who died in 2008, resigned as a High Court judge in 2005 reportedly on the grounds that the job was unstimulating. Instead Laddie joined a law firm, explaining in a national newspaper that he missed the “fun and mutual support of working in a team ” – as a judge, he scheduled weekly meetings with other judges for tea to ensure peer contact. Most lawyers say judges will complain of professional isolation at one time or another. But there is hope on the horizon. More innovative methods of recruitment, impetus to be part of a wider European project and steps towards increasing diversity are ongoing. 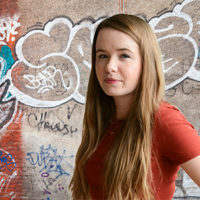 Birss insists that the chance to serve in the public eye will still motivate enough candidates.